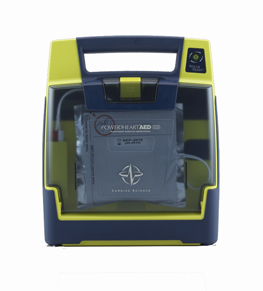 MediSafe supplies the Powerheart AED range of defibrillators which are reliable and extremely easy to use, optimizing the potential to save lives. Clear and precise instructive voice and text prompts guide user through every step of rescue. Automatic performance of daily, weekly, and monthly self-tests virtually assures the defibrillators will correctly deliver a shock the first time and every time. Features the industry’s first 4 year replacement battery guarantee. Simple one-button operation eliminates operator confusion and uncertainty. 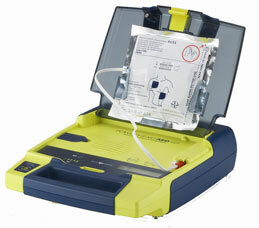 Simply lift the lid and attach the defibrillator pads to the patient. 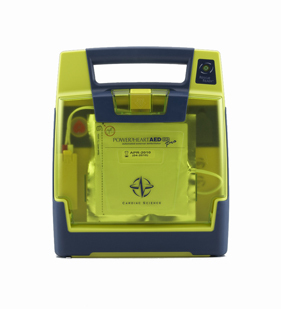 Fully automated external defibrillator with colour ecg display.